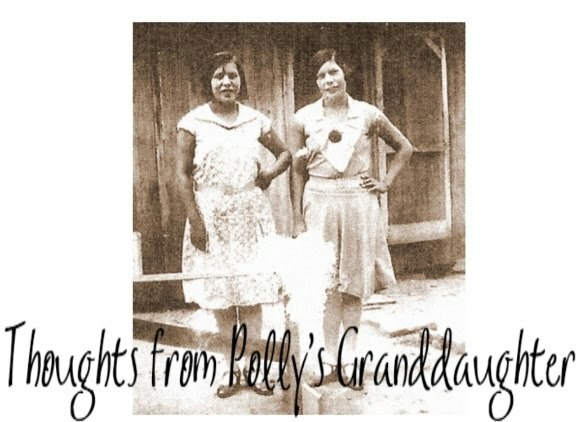 Thoughts from Polly's Granddaughter: Sentimental Sunday - "One for me and one for John F."
Sentimental Sunday - "One for me and one for John F."
One day, Berry Sanders, asked a group of men from his community if any of them needed work because he needed to get the crops in his field harvested. Much to his surprise, Donald Ray Carey, a boy of about 10 or 12, spoke up and said he wanted some work. The men all laughed and Berry asked the boy why he wanted to work. Donald Ray said, "Because I want to buy some clothes, a whole set. One for me and one for John F." Berry grinned and told Donald Ray he could come out and work and at the end of the job, he would pay him, but he had to be there on time every day and he had to do his best. Donald Ray said it was a deal. The next day, and every day after that, Donald Ray was the first one to show up for work. He quickly gained Berry's respect because he worked hard, as hard as a grown man, and did just as much work. At the end of the job, Berry got the Sears & Roebuck catalog and told Donald Ray to pick out two outfits. Donald Ray took his time and made sure he picked just what he wanted for him and his little brother. Then, excitedly, ran home to tell everyone about the new clothes he and John F. would have when they went back to Indian school that fall. 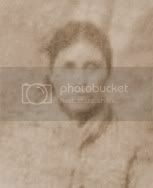 That story was told to me by the daughter of Berry Sanders. Donald Ray and John F. were my mom's uncles. Their father had been killed when they were toddlers and it left their mother to raise nine children alone. Eventually, the authorities took the younger children away and put them in boarding schools. They were only allowed to go home during school breaks. It was during one of those breaks that Donald Ray worked for Berry Sanders. I always get a little sentimental when I think about the little boy, Donald Ray, working, not only to buy himself something, but also something for his baby brother. Times were hard and there wasn't much money for food to eat, let alone extra money for new clothes. But, at least, there was one time that those two little boys got to know what it felt like to have brand new clothes. A great post! So glad I stopped by.